New video explores Carpenter's 1988 sci-fi satire. 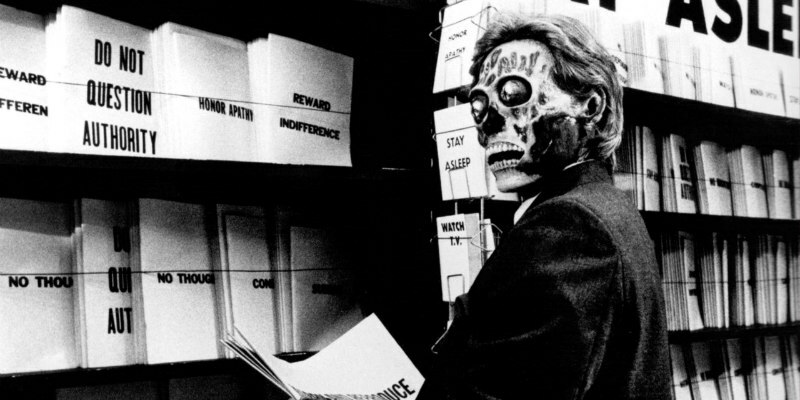 John Carpenter's They Live isn't exactly subtle in its condemnation of Ronald Reagan and '80s capitalism, but that hasn't stopped some right-wingers from adopting the film as an expose of how "the Jews" are running the world. A new video essay by Renegade Cut analyses Carpenter's thinly veiled anti-Reagan message.